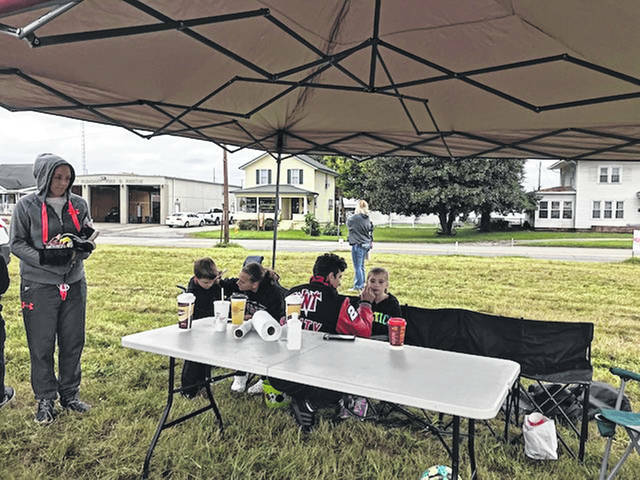 The cool weather didn’t keep people away from Community Family Fun Day on Saturday. The annual, free event is provided to the public by the Point Pleasant Volunteer Fire Department. 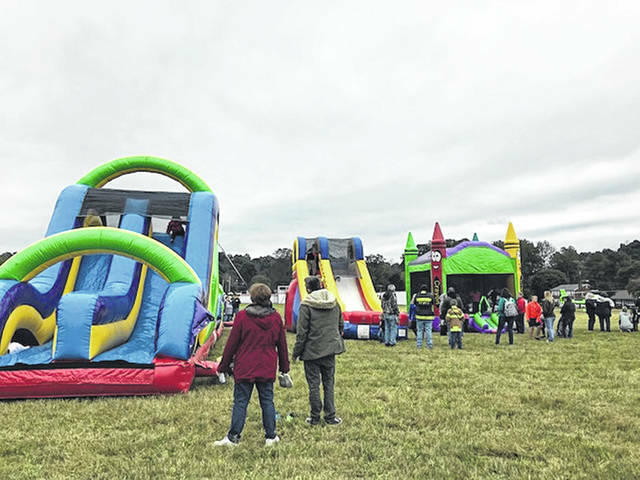 Activities included inflatables for the kids and a fire truck parade through Point Pleasant with several county departments participating in it. 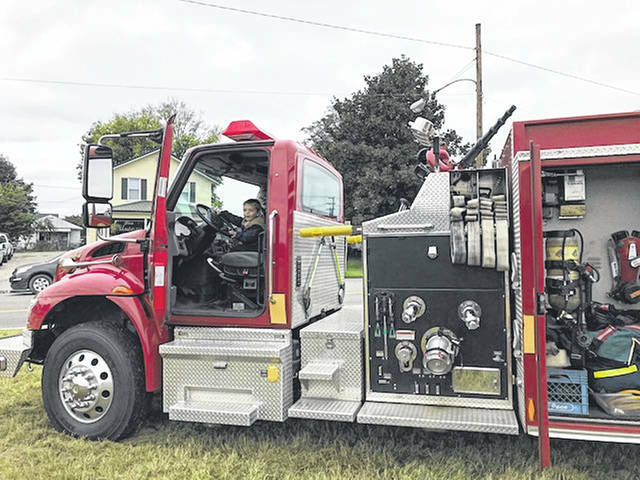 What little kid doesn’t want to drive a fire truck? Members of Andrea’s Army provide free face painting at Community Family Fun Day. 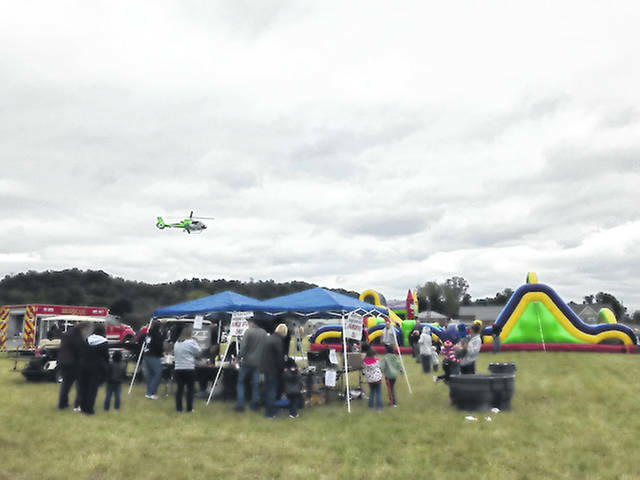 MedFlight departs a busy Community Family Fun Day on Saturday as visitors gathered for free activities and food, organized by the Point Pleasant Fire Department. 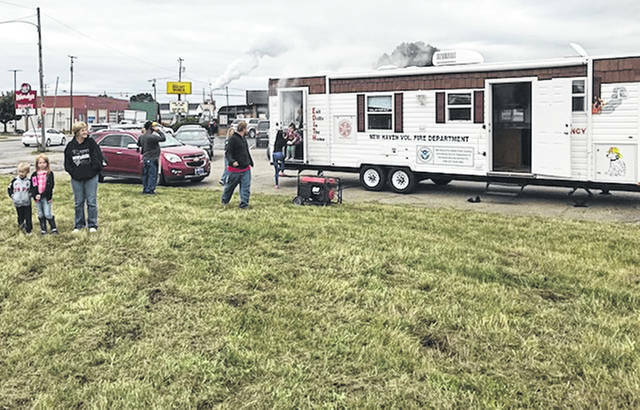 The New Haven Fire Department used its portable safety house to show those at Community Family Fun Day how to get out of their homes during a fire. Other first responders and law enforcement were also at the event, providing safety tips and information to the public.